PPP’s presidential candidate has been pilloried by Government spokespersons for clearly declaring that, if elected, he’ll reopen the sugar estates closed by the PNC Government. He explained that under his party’s plans, there’d be some 11,000 jobs created. It was interesting to contrast the rationale offered by Ali for the PPP’s proposal to that of the PNC for theirs. It reveals the fundamentally different nature of the two parties. Ali spoke to the concerns of the more than 7000 persons who’d been thrown into the streets to join the burgeoning mass of unemployed in Guyana. He was talking about PEOPLE, not statistics! In an economy out of which the PNC had sucked the dynamism, the PPP had injected their aggressive economic policies. He resonated with the families of those workers – at least 35,000 men, women and mostly children – and their blighted future. Coming from Leonora, he grew up hearing first-hand about the privations of the 1500 families who’d suffered the identical fate when Burnham’s PNC shut down Leonora Estate in the late 1970s. To the PNC, however, sugar had always been seen as a reservoir of PPP support. 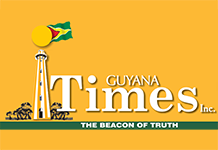 Leonora, in fact, had been a stronghold of the PPP during the 1960s’ struggle against the PNC’s betrayal of Guyana in its quest for REAL independence. Burnham had a long memory. It’s clear, however, that Granger’s memory is longer; but then he’s a historian who boasted about being a staunch PNC member in all the years he was a big one in the army. Granger always insisted sugar had to be closed. The social tragedy that would be unleashed if that were to be done didn’t matter – as it does to Ali. Granger spoke to numbers on a balance sheet: about the US$2.5 million annual subsidy the Government shelled out to the industry; about “economic rationality”. He only changed his tune temporarily to lure the AFC into his election coalition. And in the face of his own CoI into the operations of GuySuCo — which advised otherwise — he unilaterally ordered that four estates be shuttered. But the “economic rationality” argument was just a disingenuous ploy being used by Granger to hide his real motive. The PPP, for instance, had for decades subsidised the electricity charges to Linden to the tune of US$1.5 million annually. Linden, after all, was a depressed community after the closure of bauxite operations, and the PPP felt for the workers, even though they supported the PNC. Ironically, they continued the Burnhamite levy on sugar, which sucked sugar workers dry and brought sugar to its parlous state. Granger continues with that subsidy today, without ever mentioning “economic rationality”!! That’s the difference between Ali and Granger!! Government should be about all people! Well, well, well! We’re now told that a PROBE had been launched since last year into charges that Housing Minister Valerie Adams-Yearwood had a conflict of interest when it was pointed out that her husband, Pastor Yearwood, had received contracts for building houses for the CH&PA, which falls under her Ministry. Really? Or was the PROBE to find out whether Contractor/Pastor Yearwood had in fact stiffed his subcontractor, who’d written to all and sundry, starting from the President and the CH&PA over a year ago?? After all, the matter only surfaced when the desperate, not hearing from anyone he’d written to – much less from the still undisclosed body that’s conducting the PROBE – went to the Opposition Leader. Mout’ open and story jump out!! Seems the CH&PA had brought Pastor/Contractor and the stiffed contractor together with no resolution or mention of conflict of interest! So, will this PROBE join those into the Broomes’ matter; the Patterson matter; the Lawrence matter; the Durban Park matter etc., etc., — which are also presumably ongoing?? Or have they all been deep-sixed?